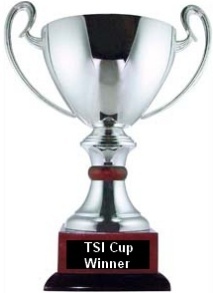 The inaugural TSI Cup was a resounding success. Within 6 hours, we had 7 teams enter and another 2 on a waiting list. The teams were limited to Div 4, 5 and 6 so as not to make the games completely lopsided for the competitors. It was a round robin format; everyone played everyone once. Winner take all. As you can see from the result table below, TSI was a little less than overpowering in its first season and first cup. That said, our own Godfather managed to win with several fortuitous results and a beginning team of a handful of good players in key positions. As the Godfather is a contributing member, we're obliged to promote sddafc and their manager Jhon Hammon as runners-up and honorary TSI Cup holders. 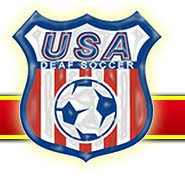 Sddafc came on strong late in the tourney winning 3 of its last 4 matches and needed a big win against Honolulu Toon Army it the final round match-up to have a chance of winning the Cup outright. Instead, they had to settle on a heartbreaking 2-2 draw. Sddafc had to play the last 35 minutes down a man after a 2nd yellow saw RM Sean Whitgift sent off. It wasn't until the 75' that Honolulu pulled even with a late gasp. Sddafc dominated the match on the stats, but walked away with a draw and 2nd place. We will be returning next season for the 2nd TSI Cup and hopefully open it up to two brackets with the same limitations (perhaps even some foreign invites). We also wanted to take the time to thank all the participants. We had teams from Hawaii to North Carolina and a lot of places in between. Not too shabby. Feel free to check back around January for the results of the 2nd TSI Cup, or let us know you've joined Trophy Manager, and when the 2nd TSI Cup sends out invites, we'll add your team to the 1st choice list. Yes Luke, I am . . . the Godfather. Bear in mind my top player Welty was injured by those evil sddafc thugs and half the team out with prior injuries, including "There's only one" C. Onions . . . reminds me of De Jong vs Ben Arfa assaulting the MF for my great namesame on Tyneside. Anyways, it bears to mention that we have no official affiliation with TM, but as a rookie lemme tell you that it is super addicting and so much fun. It was a great tournament and, on the behalf of the Toon Army and TSI, I am really looking forward to the next TSI Cup. Aloha and good luck to all! And also hope that I have motivated the almighty Newcastle United Football Club in their quest for glory! Let's go Toon!